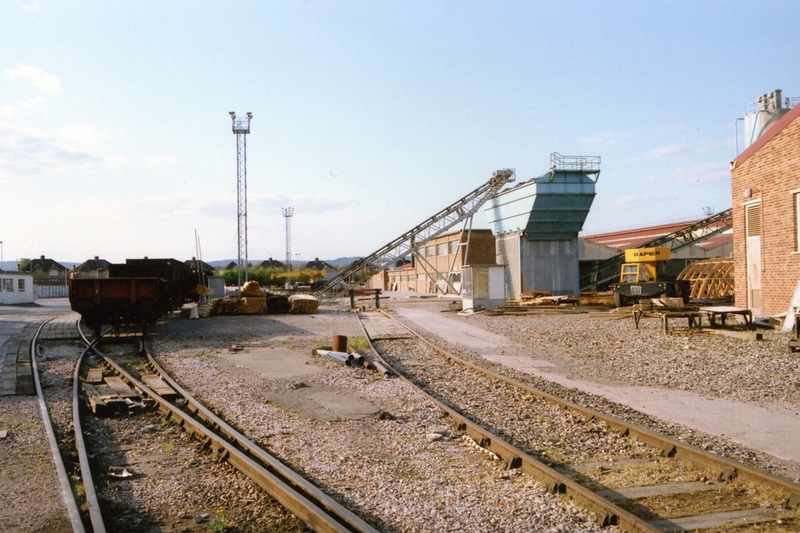 The Taunton Concrete Works was a large user of the railways. 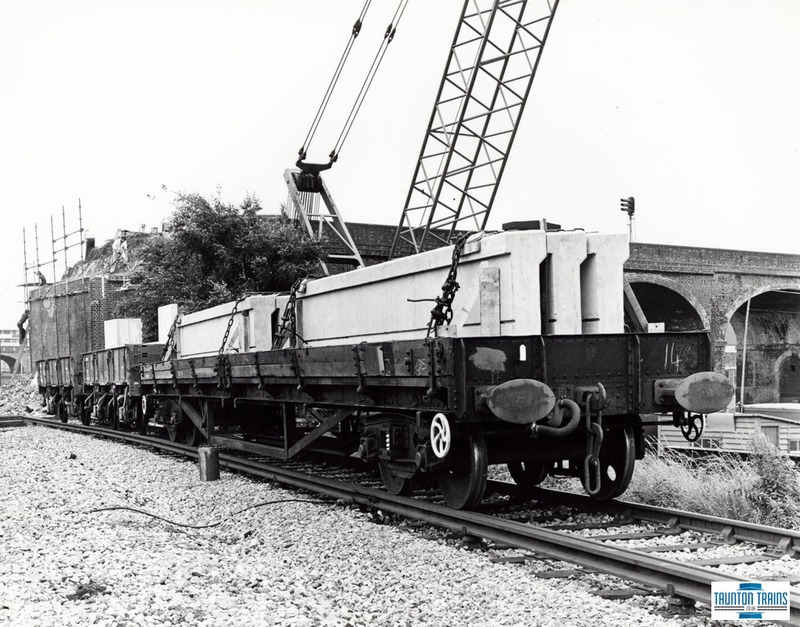 Until privatisation the concrete works produced a wide range of products for use on the railways. 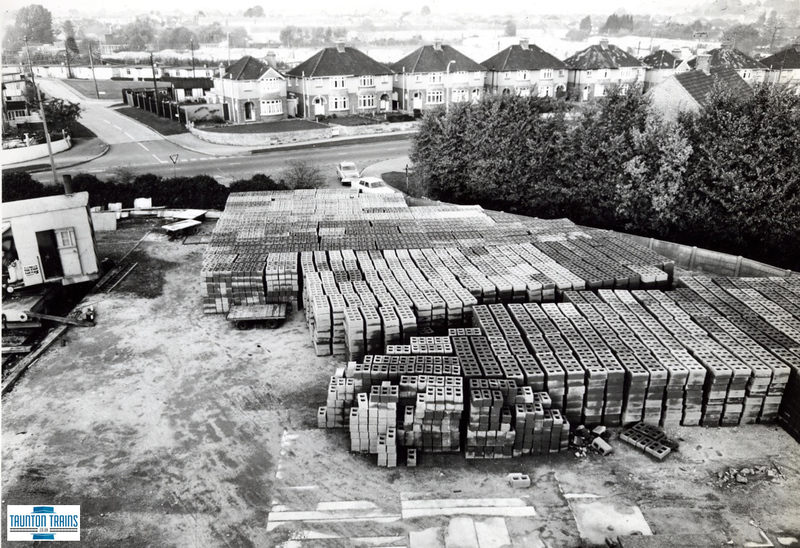 Fence Posts, Platelayers Huts, Bridge sections, Platform components were all items produced at the plant. 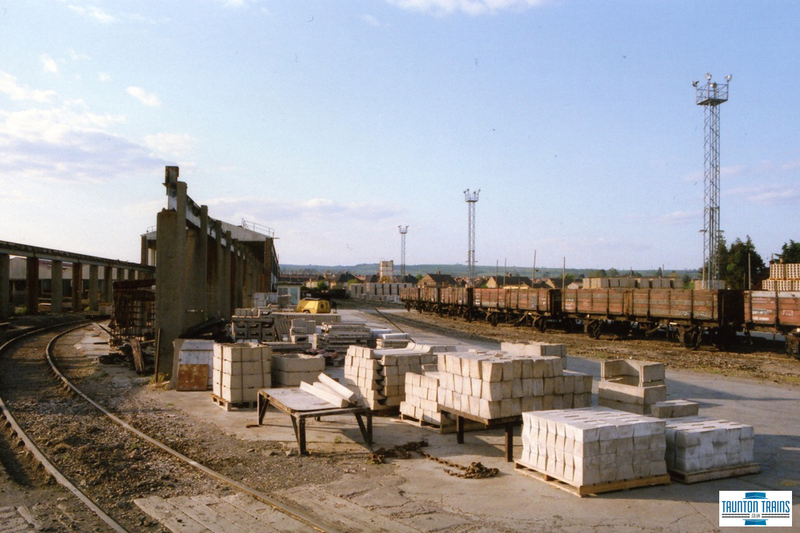 The origins of the plant go back to the 1900's when two railway employees were asked to make paving slabs for the railway. 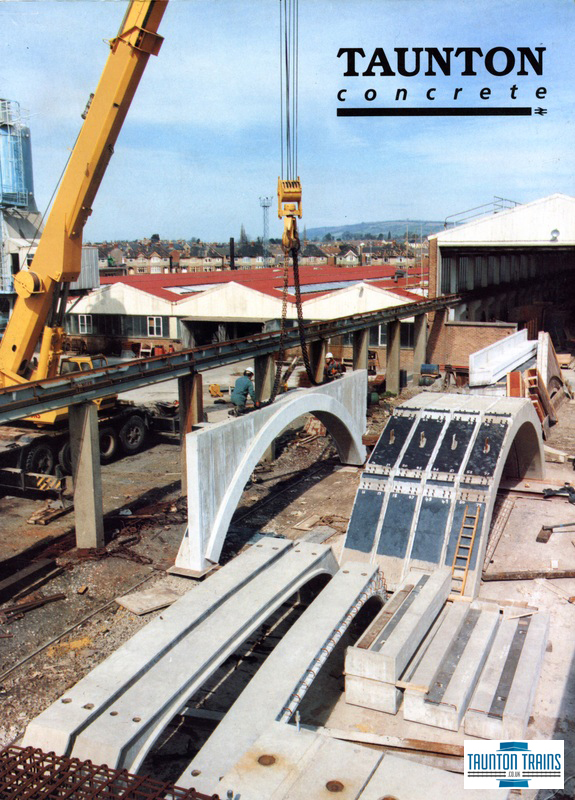 The concept grew over many years to eventually house over 80 workers producing concrete products for the Western Region. 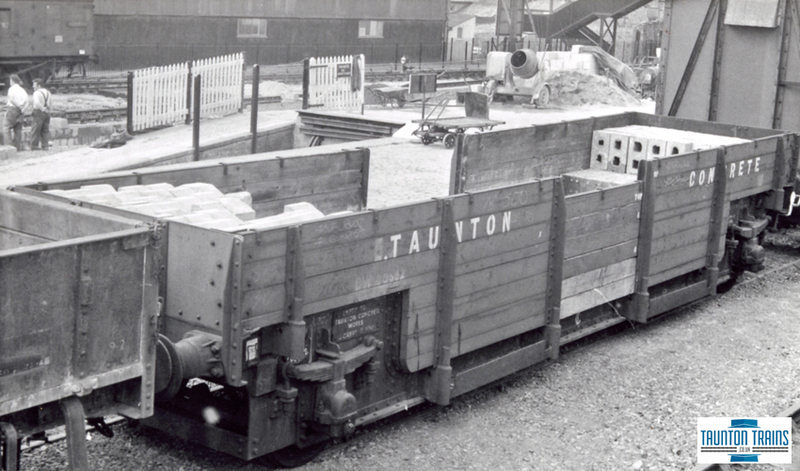 Until now there are few photos on Taunton Trains covering the operations of the plant, probably because of its location in being positioned away from the mainlines. 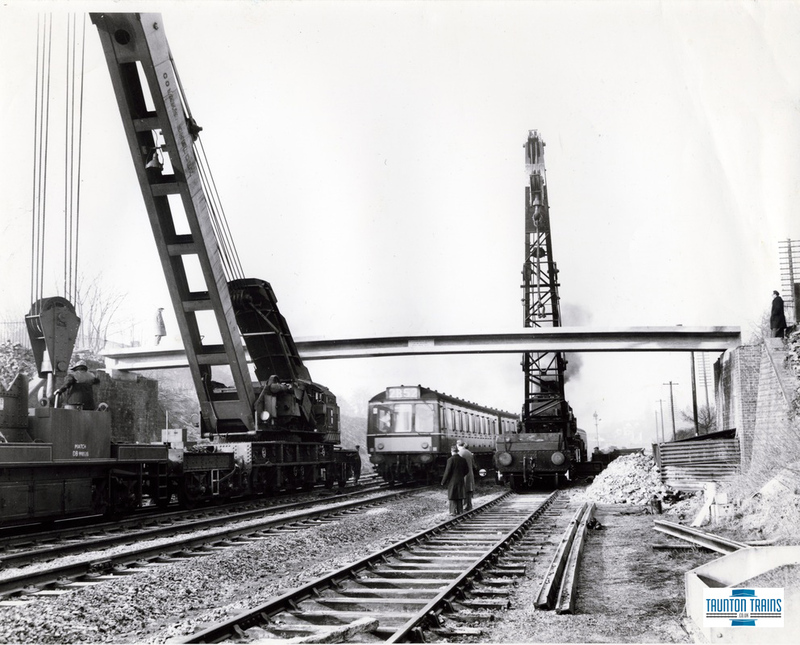 Gated entrances would of prevented many people from capturing images of the rail operations. 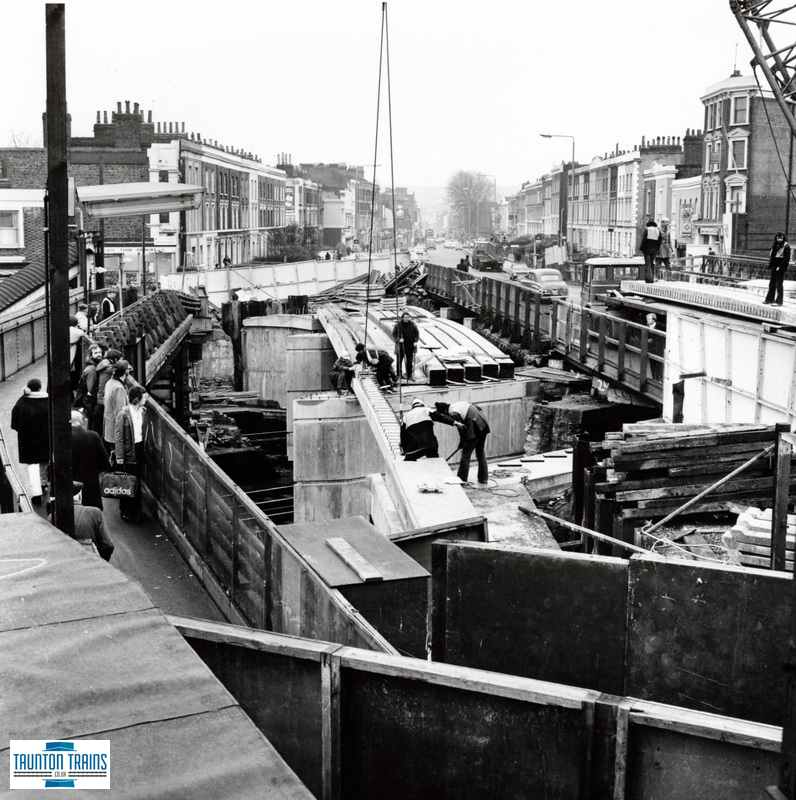 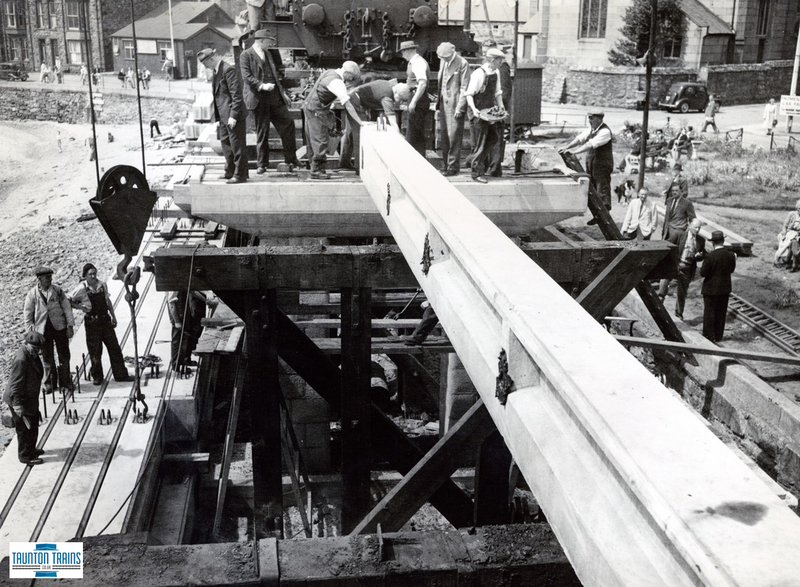 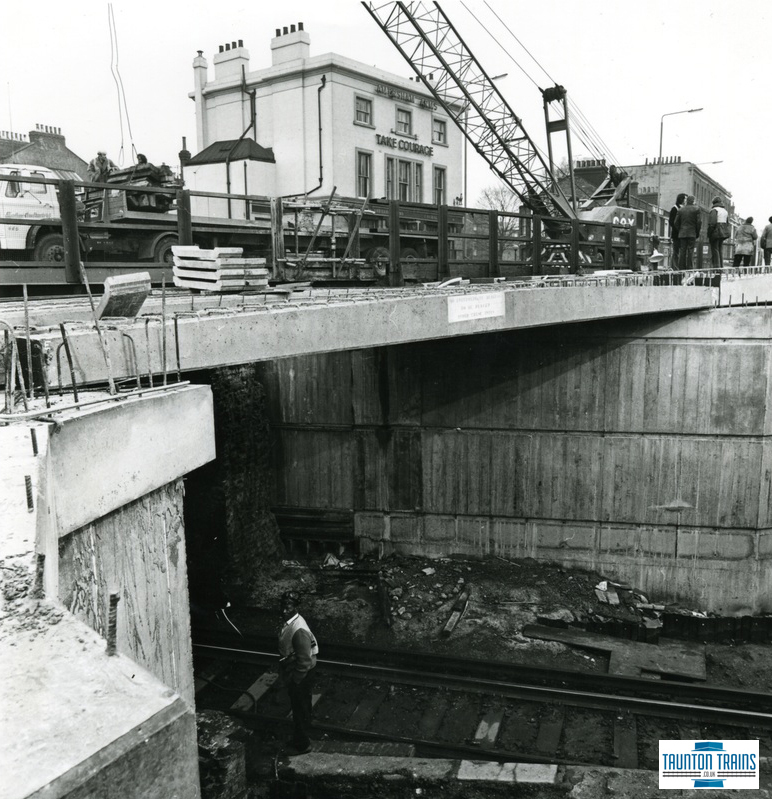 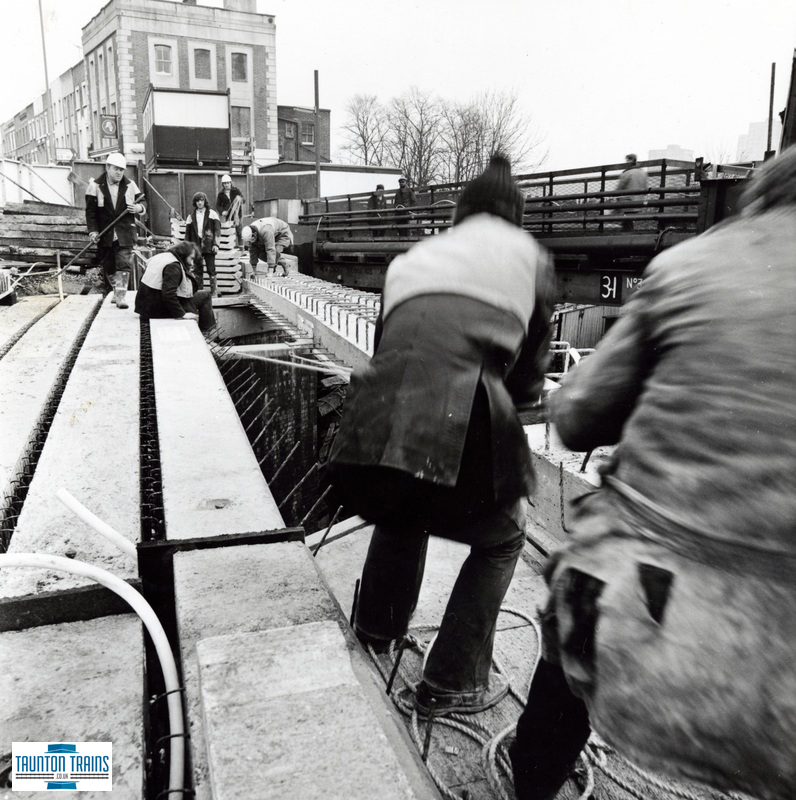 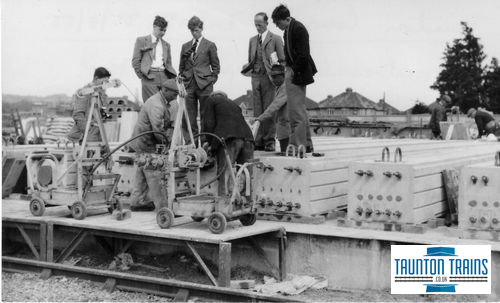 We have however been contact by a former supervisor at the works who has provided us with a large photographic collection of images which illustrate the products and projects which were produced by Taunton Concrete. 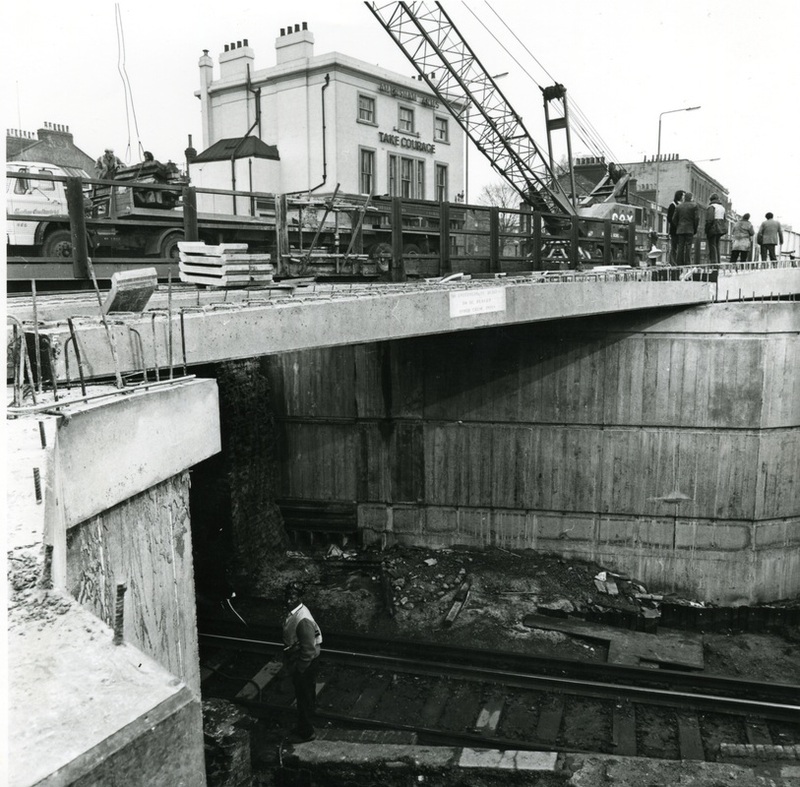 Derek Slater was a former supervisor who worked at the Taunton Concrete works between 1980 & 1995, he worked as a labourer for British Rail before being promoted to Chargehand and then Senior Supervisor. 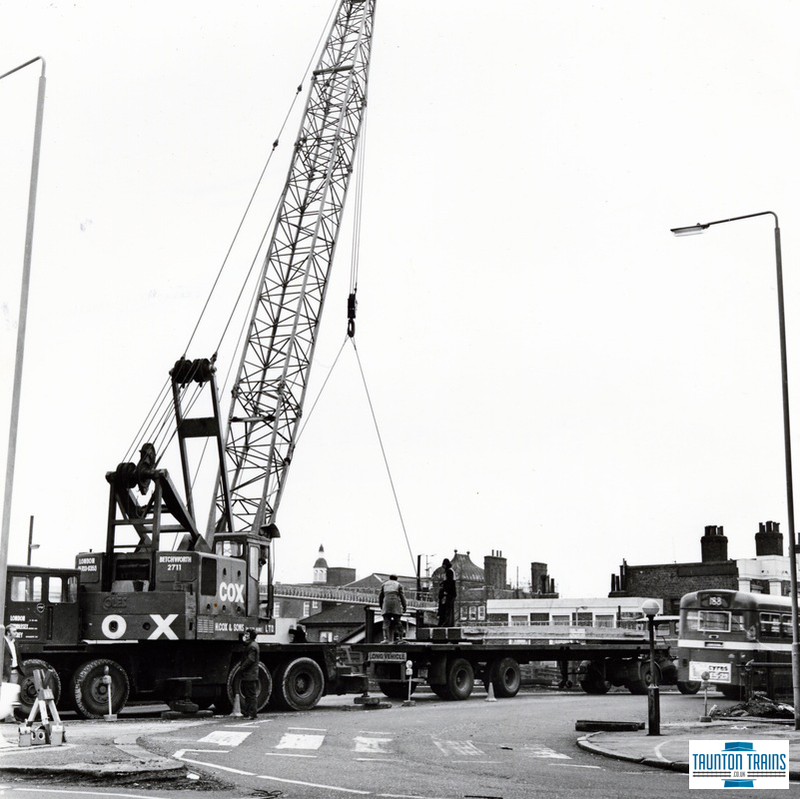 His duties were to recruit, train and motivate all staff responsible for their appraisals and disciplinary procedures. 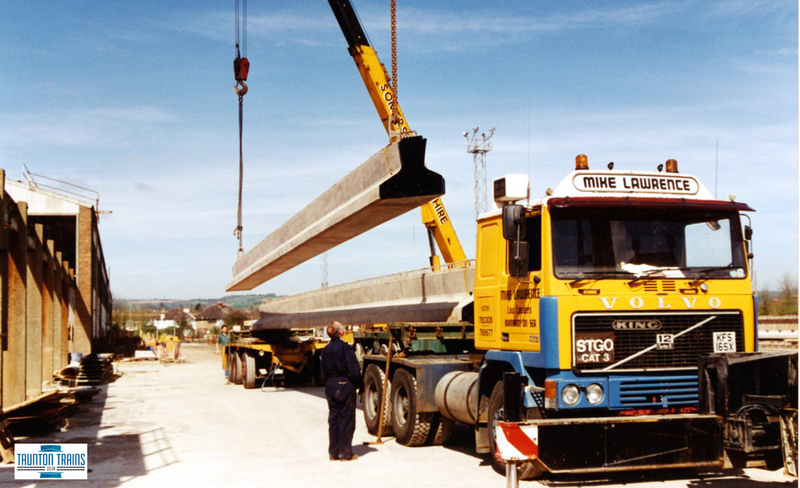 Within this role he was also a Quality Assistant who helped drive the introduction of BS5750 implement and maintain the quality system to comply with the regulation. 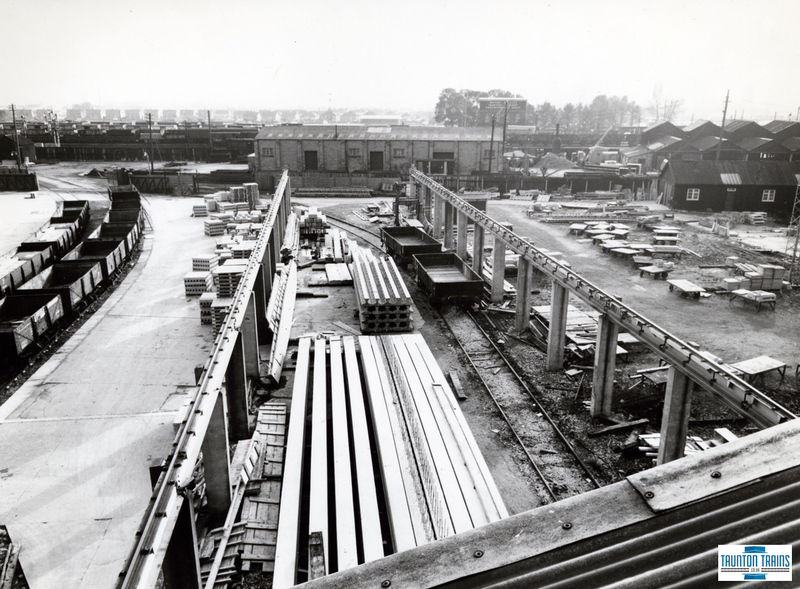 As an Internal Auditor his other duties were to visit other sites within the division of British Rail to ensure they all complied with the British Standard. 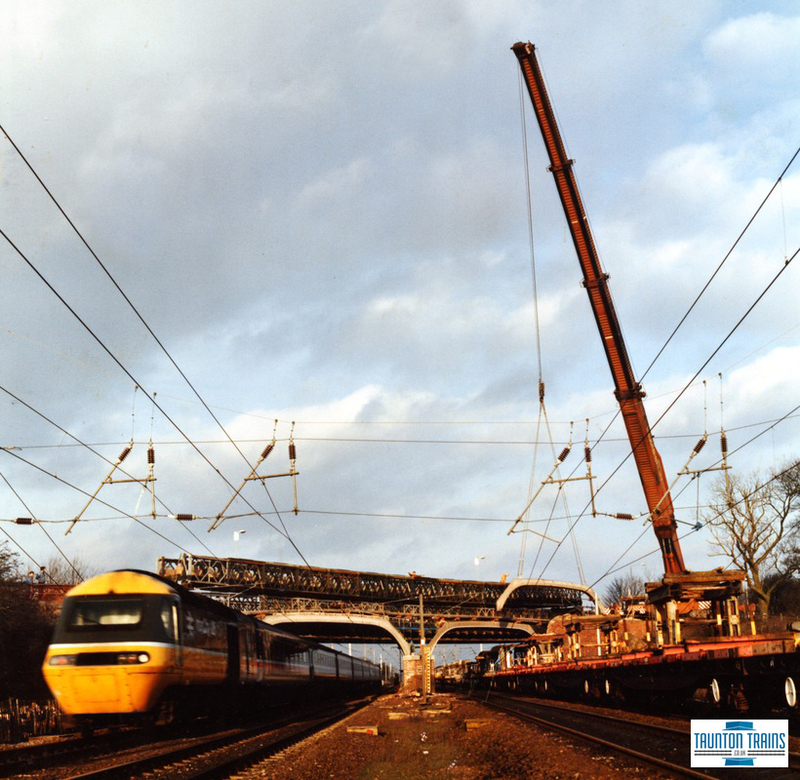 He carried out these job roles until 1995 when the plant closed due to the privatisation of British Rail. 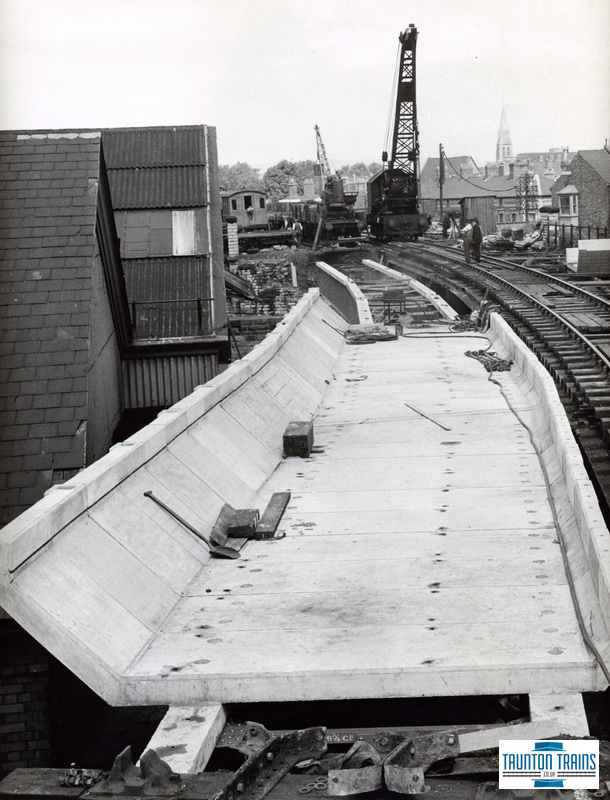 Taunton Concrete works showing the form work taken from the over head gantry crane. 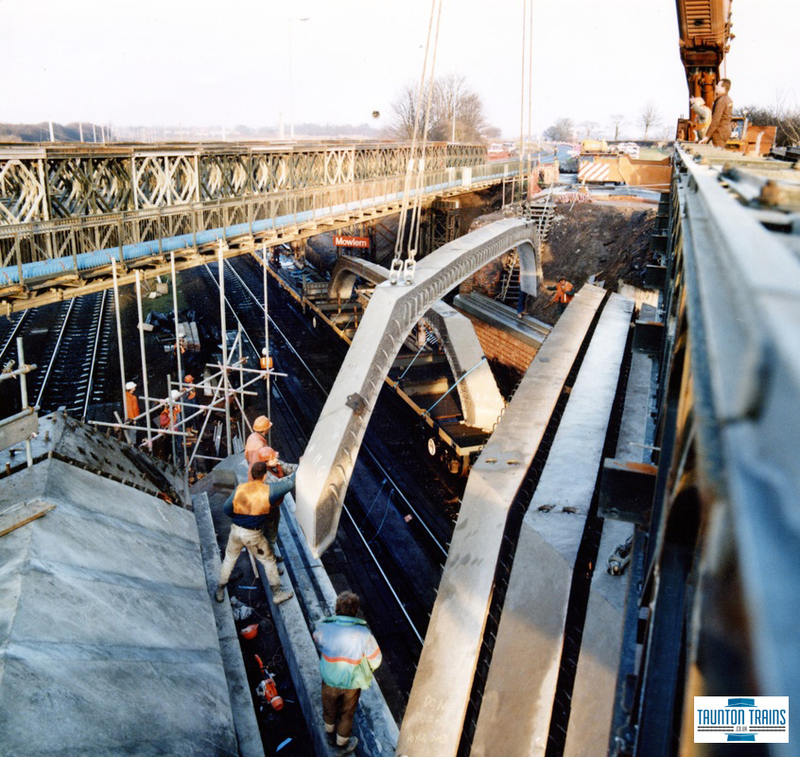 Timer framework and internal reinforcing bar. 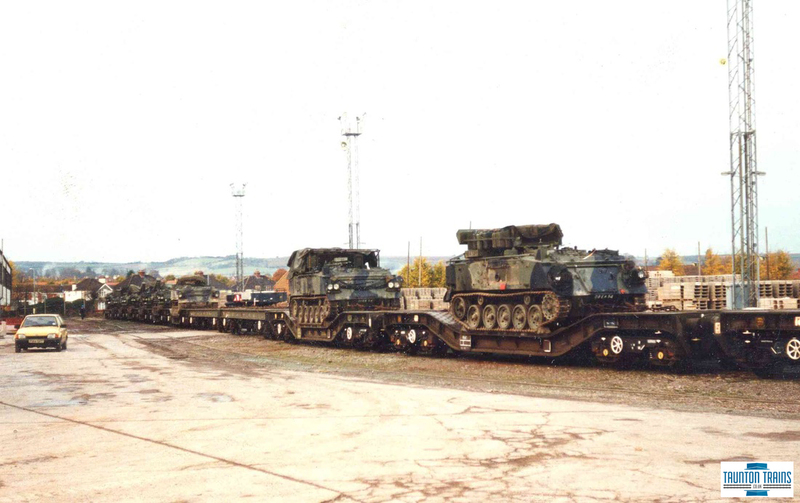 Bridge sections loaded onto wagons for transportation by rail to a work site. 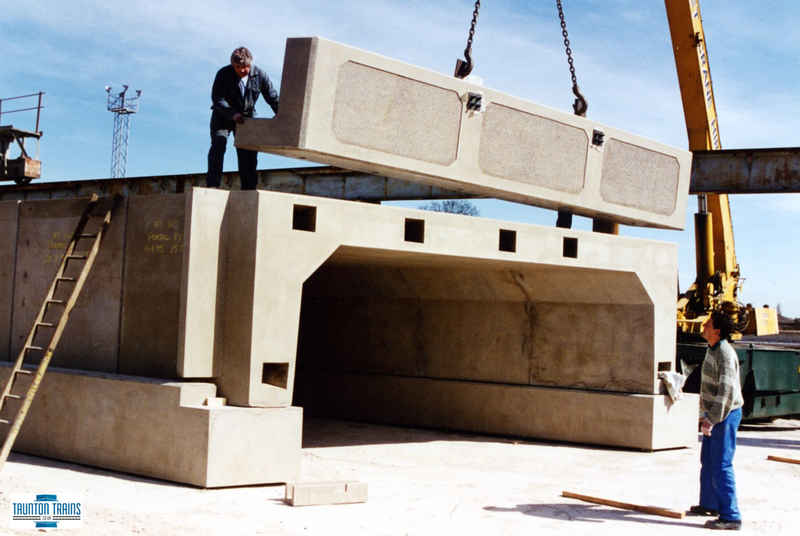 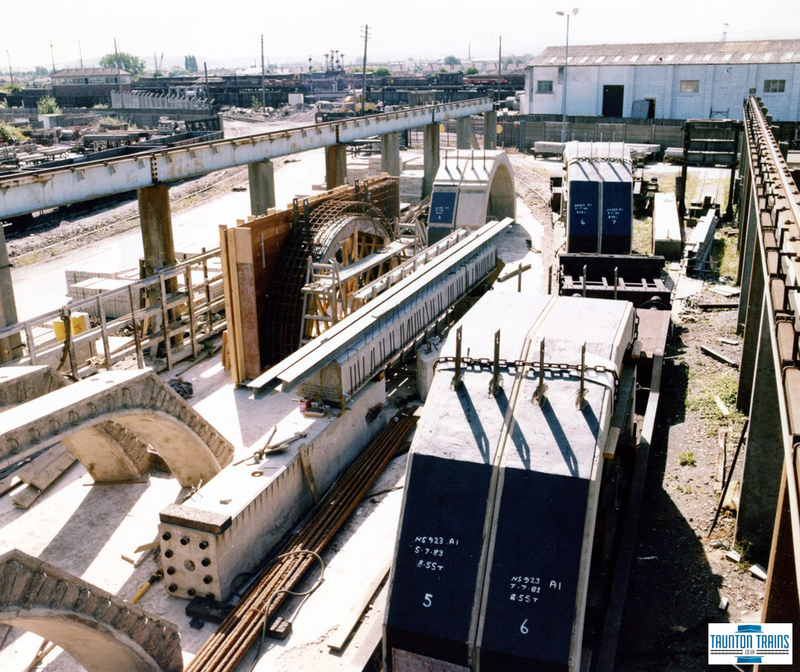 All concrete sections were pre assembled at the plant to ensure they fitting tolerances were correct. 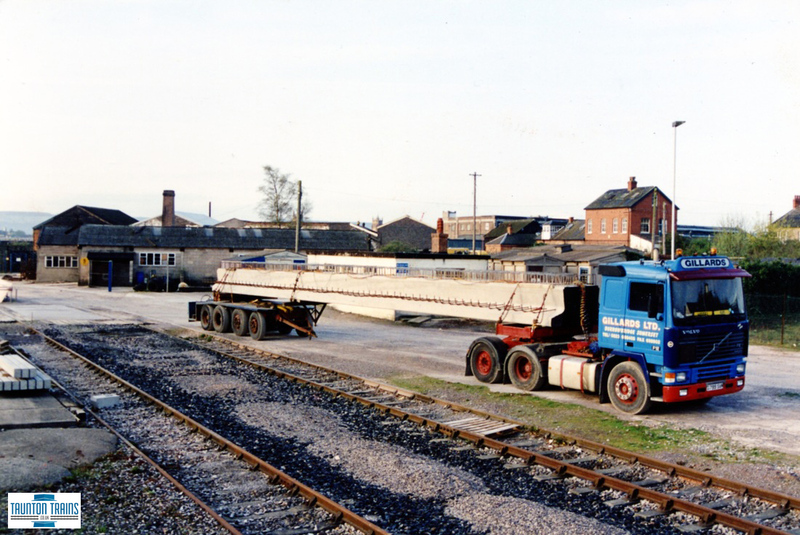 Taunton Concrete works was a large user of Rail and Road transport to transfer their products to sites. 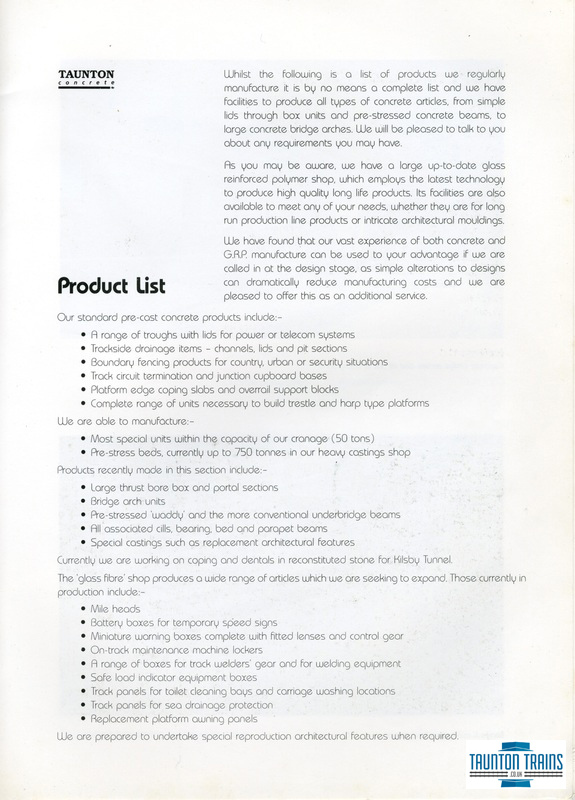 Many of the products were fitted at rail connected locations. 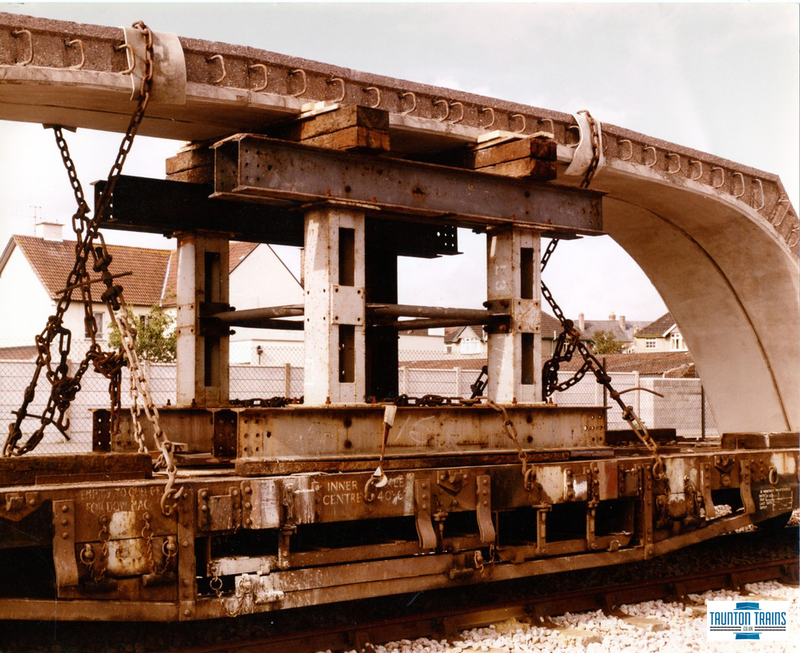 Where a train could simply roll up to a location, and then rail cranes could lift the item into place, without the need to offload first. 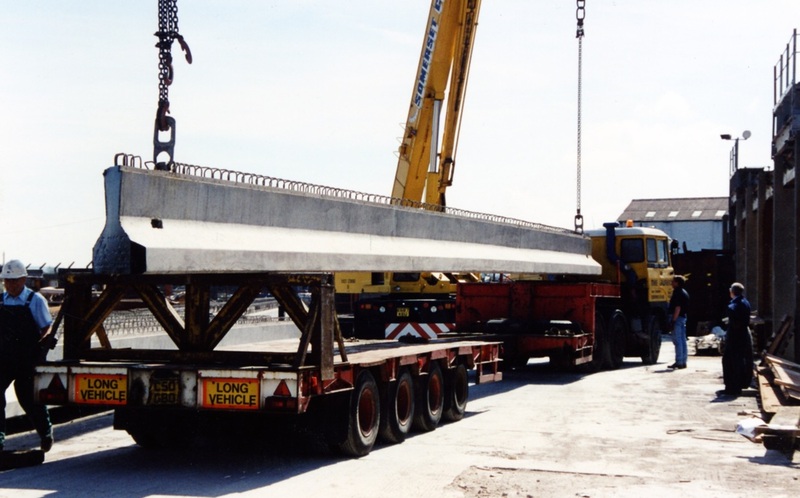 Other products (such as beams for motorway bridges) were transported by road on stretched skeleton trailers, and lifted into position in the same method. 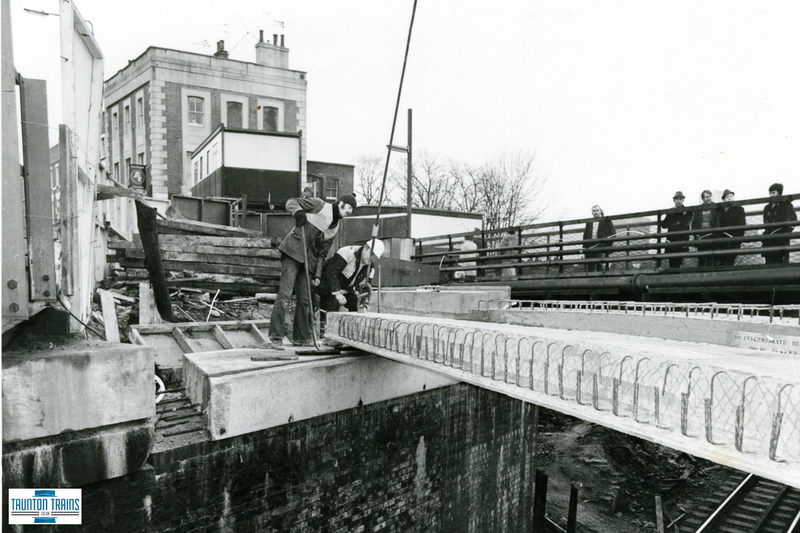 Footpath, Bridge Install at Beaconsfield (12th February 1947). 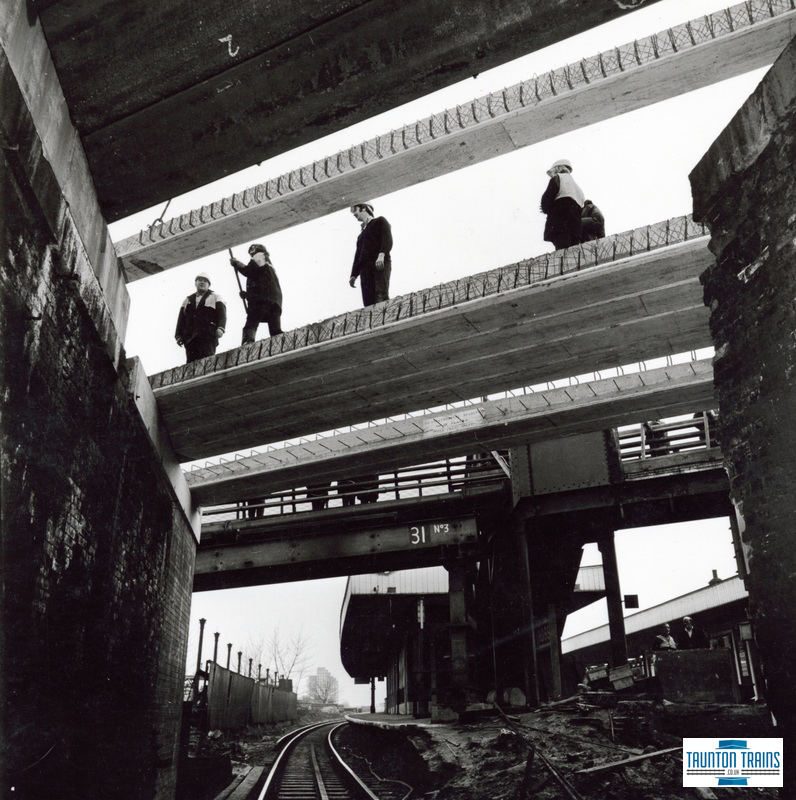 Paul Smith: Following on from the above image and memories of the Taunton Concrete Works, several people have raised questions regarding operations in and out of the works. 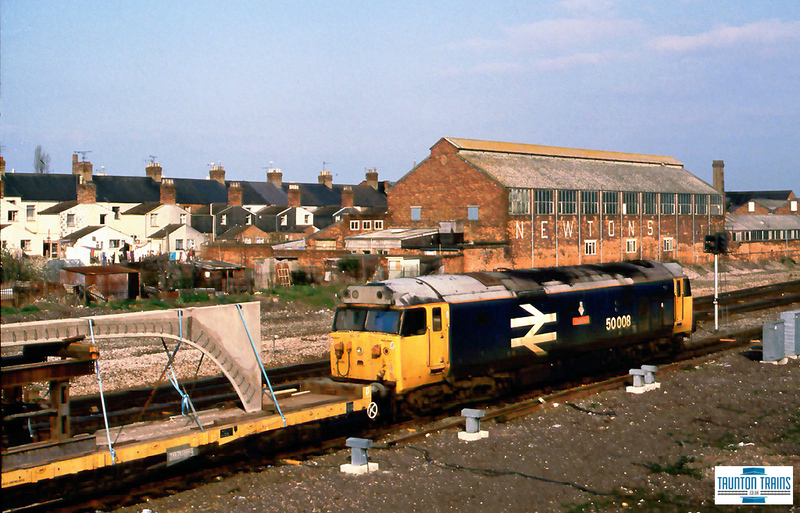 Paul Smith and his wife are currently compiling a book on BR Departmental Depots/ Stabling points around the UK. 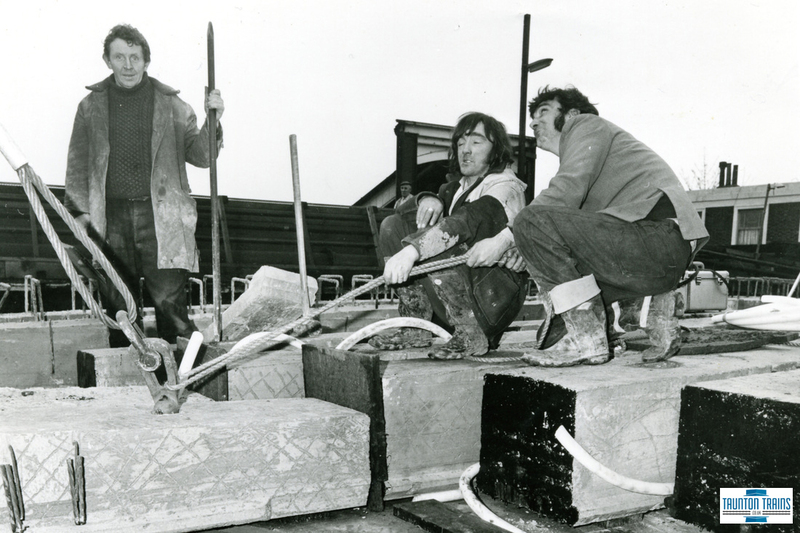 They are trying to seek some info on Taunton Concrete Works. 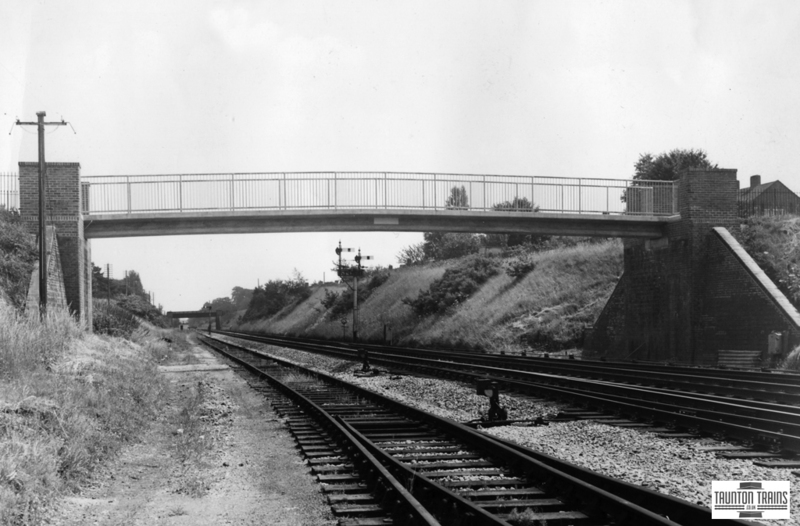 It was originally opened by the GWR there is no recorded date of it's closure. 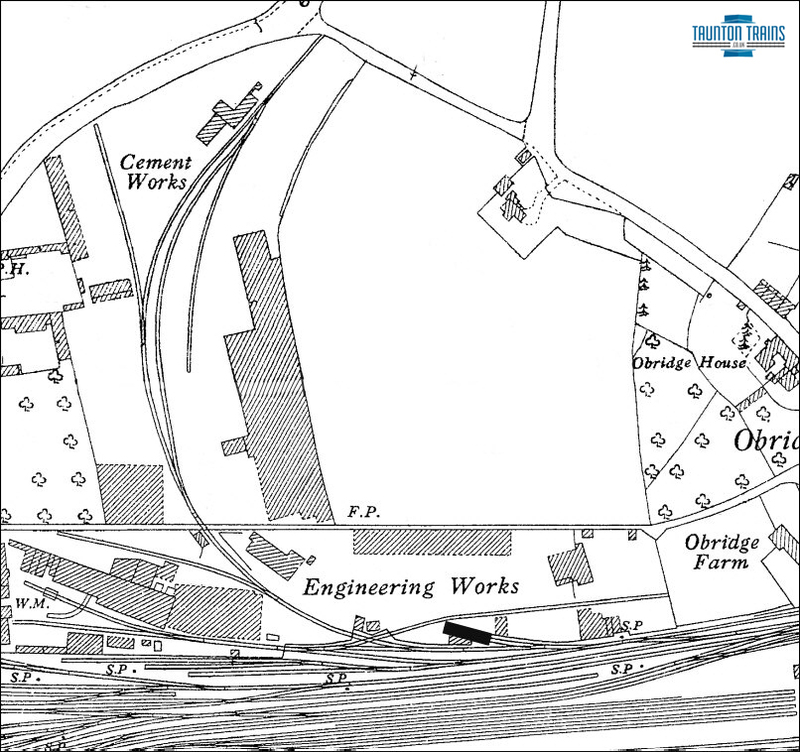 They are also seeking photos of the departmental engine shed and entrance to the engineers works. 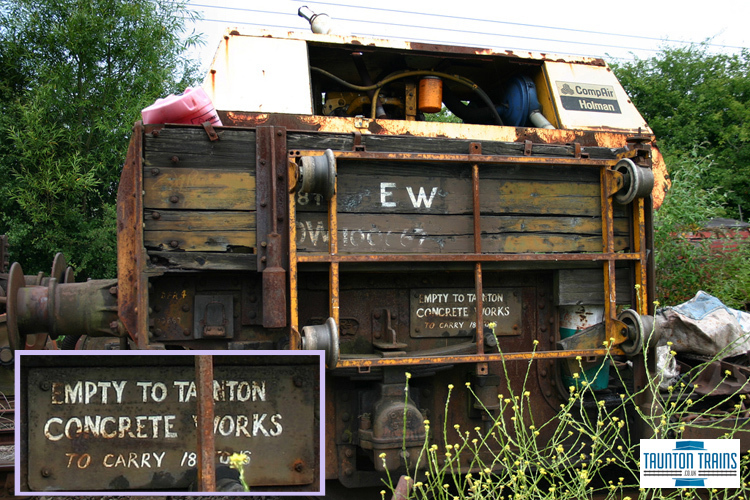 Is there anyone who has information which may be of use to Paul and his wife, and the Taunton Trains website. 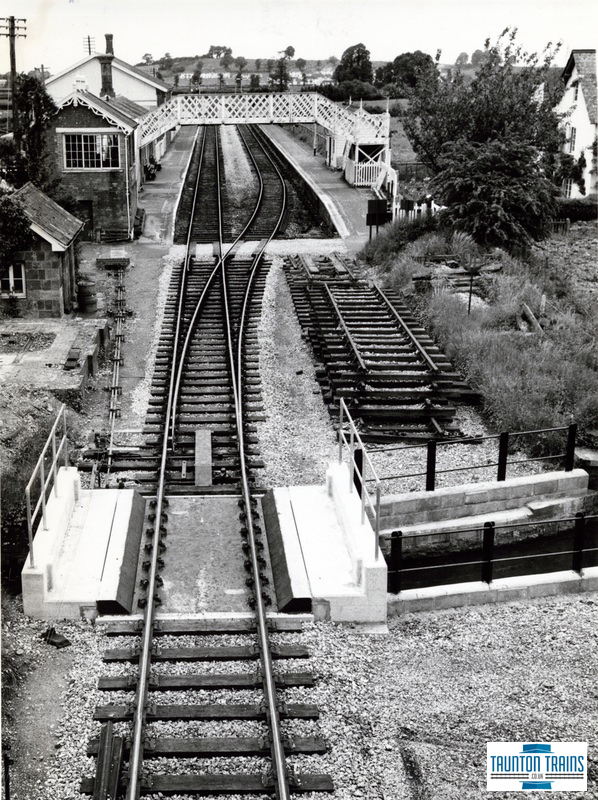 Why not Email Taunton Trains and let us know! 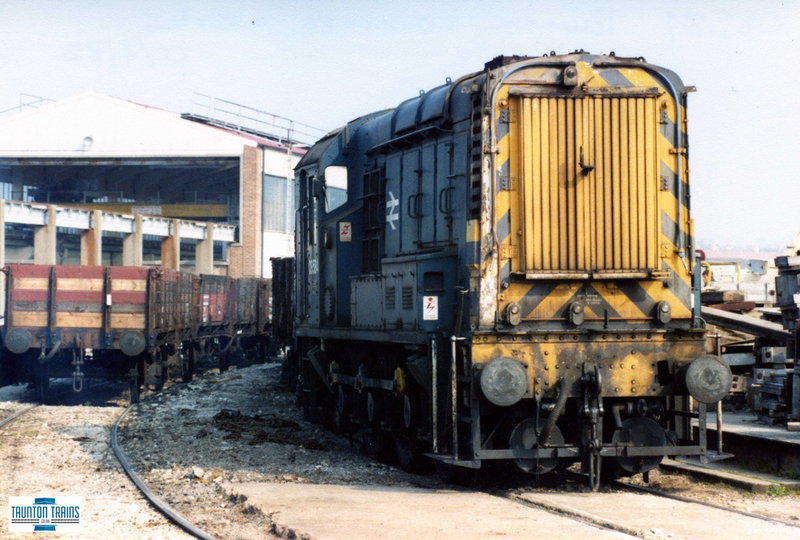 Richard Cross: My father Jack Cross was a driver of this engine back in the 1960's, it was based in the concrete yard just outside Taunton Station, past the GWRSA Social Club premises, it was used to shunt wagons with concrete sections made in the yard. 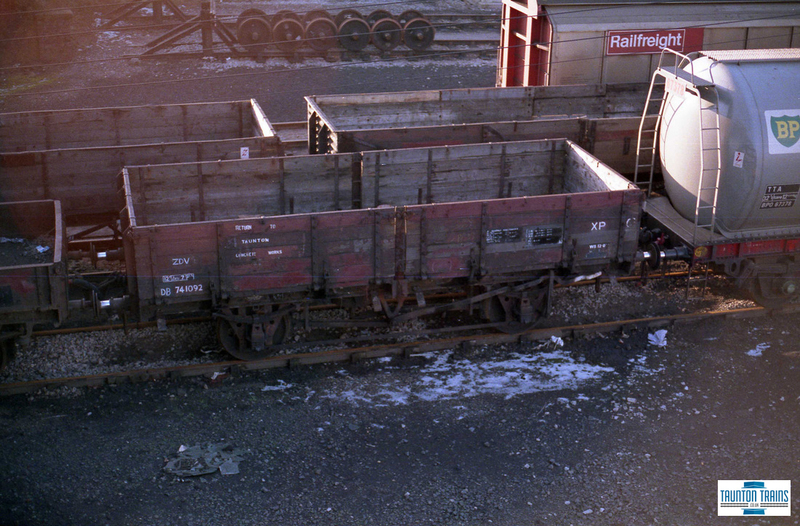 I very occasionally went with him and rode as passenger, I was about 10 years old. 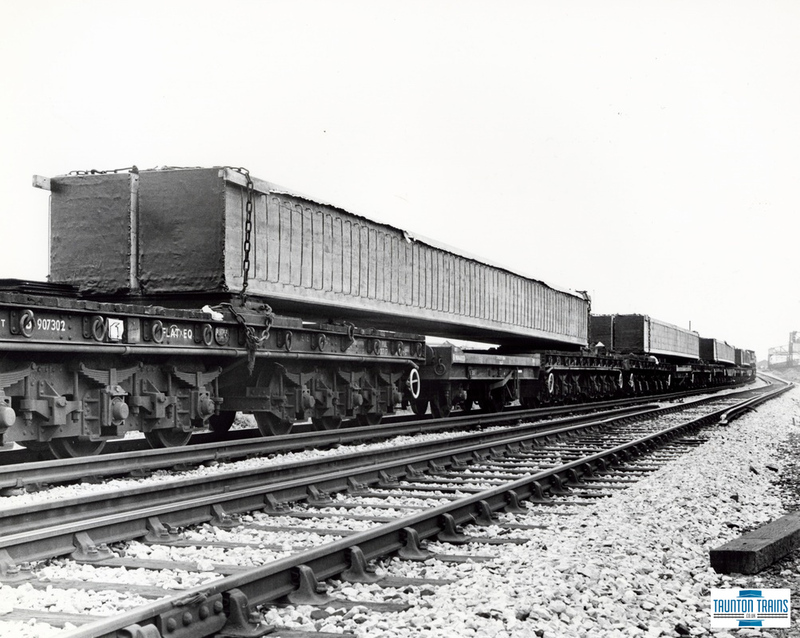 It was great having your dad as an engine driver, albeit a shunter. 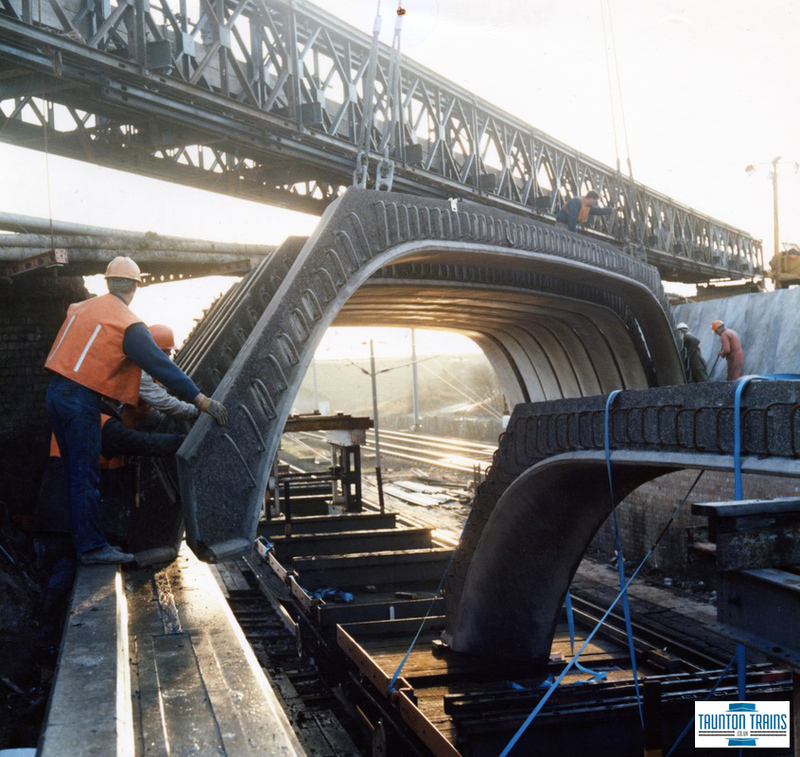 Andy McDougall: Way back in the seventies, I was a minor cog in the Chief Civil Engineer (Western Region)'s organisation, and designed a sunken unloading hopper for rail-borne sand and aggregates at the old Concrete Works (then Bill Copley's domain). 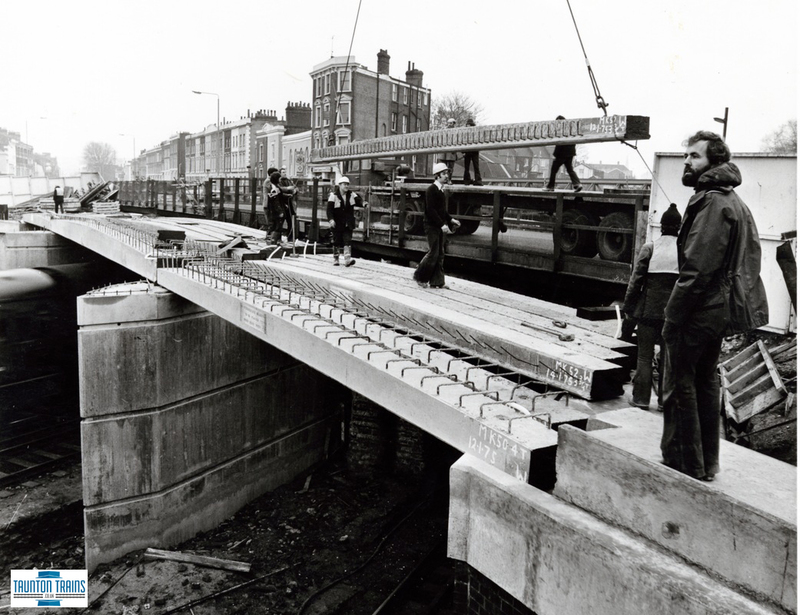 I believe that this - unlike numerous other designs produced by the likes of myself - actually got built! 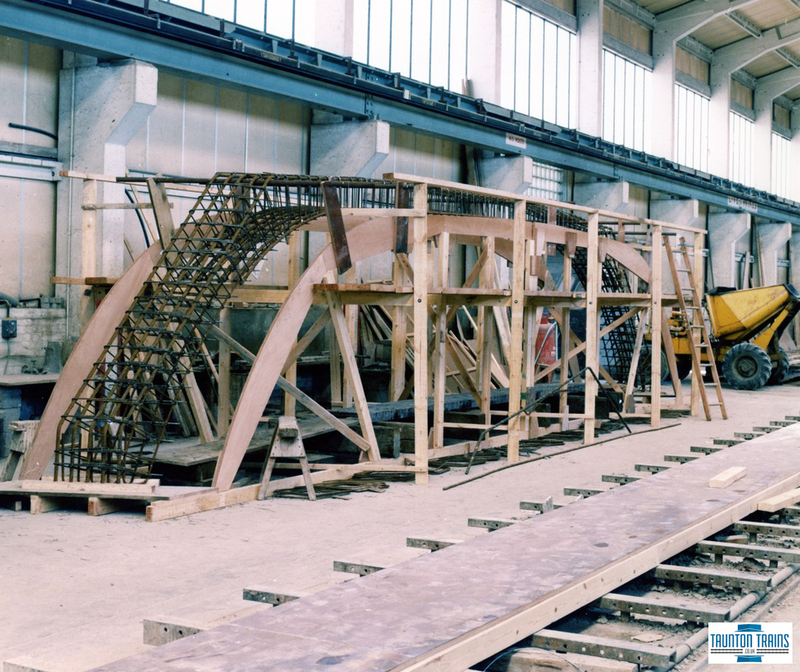 Unfortunately I departed the Civ Eng business for other duties at "222" before the project was far advanced, and never got to see the finished product.If you happen to know of any photographs of the end results, I would be very interested to hear of their whereabouts. 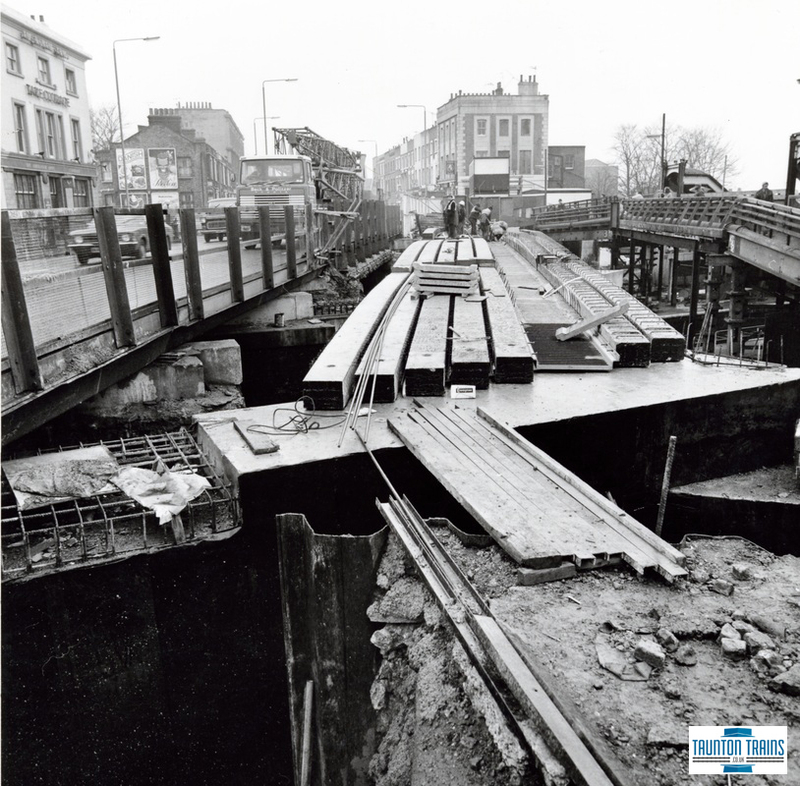 I believe the site has since been redeveloped.